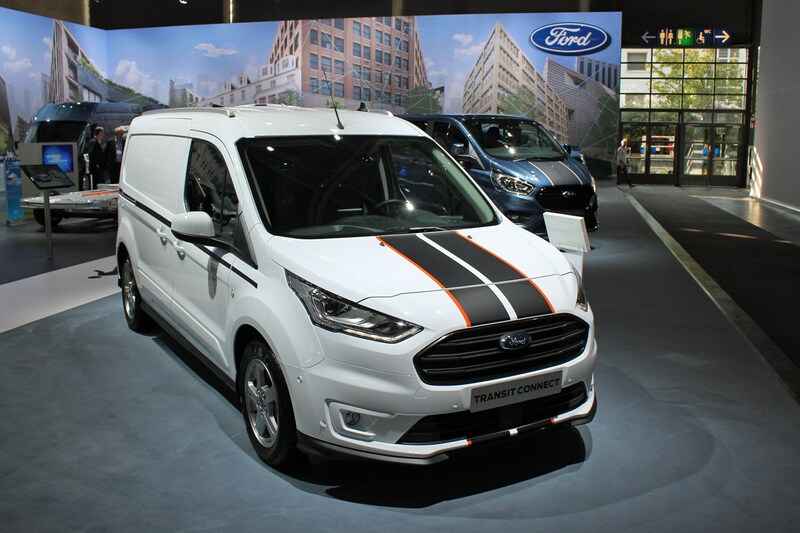 While news of the facelifted Ford Transit Connect first reached us back in December 2017, Ford’s still managed to spring a surprise at the 2018 IAA Commercial Vehicles show by launching a new Transit Connect Sport. 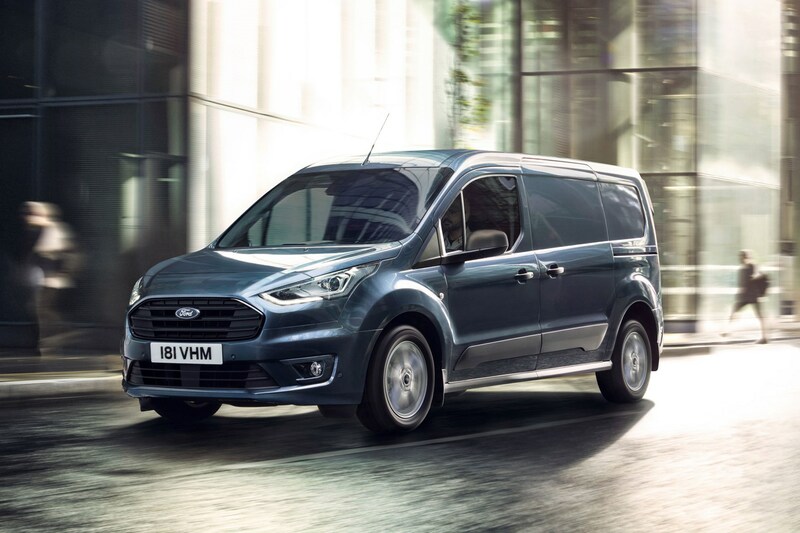 Ford has also confirmed more technical details for the rest of the Transit Connect range and the smaller Transit Courier, which is also receiving a mid-life update. You’ll find full details of all this and the new Transit Connect Sport below. 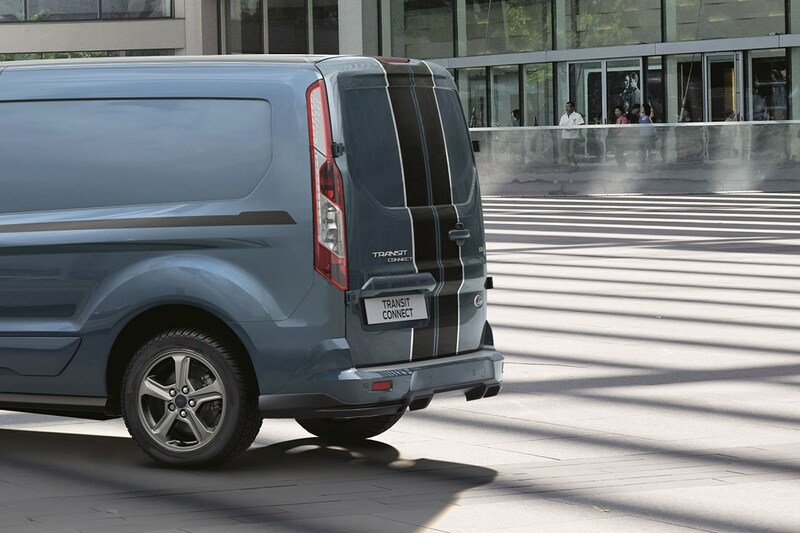 What makes a Ford Transit Connect Sport? 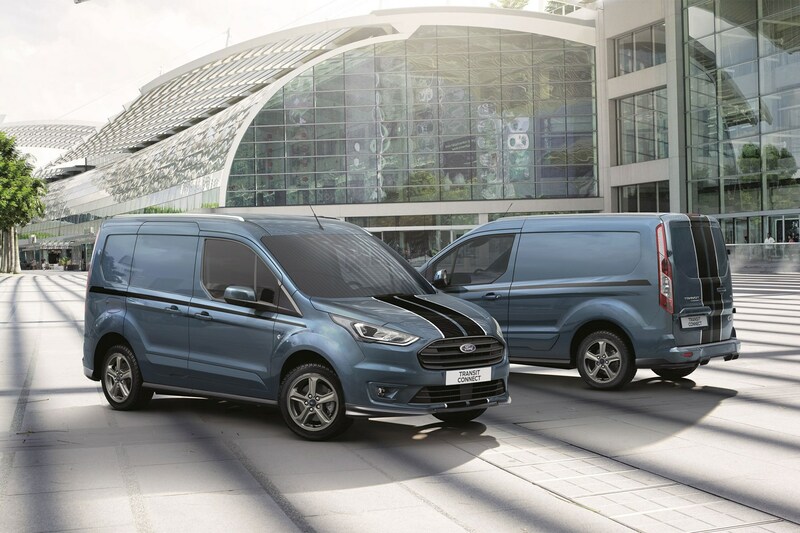 In common with all Ford’s recent Sport vans, the new Connect Sport gets an exterior styling kit, alloy wheels and stripes – which like the latest Transit Custom Sport are matt black with accents in silver or orange. On the inside there’s part-leather trim, dual-zone electronic temperature control and a starter button, while standard kit includes cruise control and cornering foglights. We haven’t seen any pricing for the Connect Sport yet, but will confirm this soon. 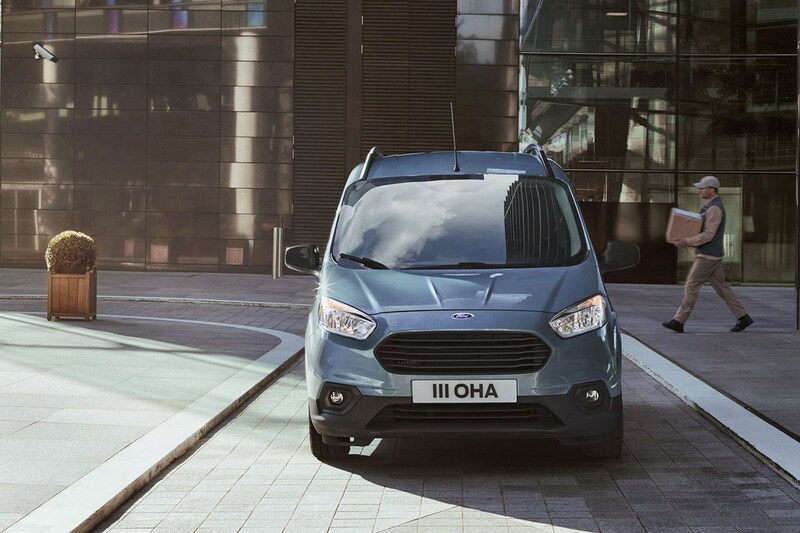 It becomes the fourth Ford 'Sportvan', joining the range alongside the Transit Custom Sport, the Transit Courier Sport and the Fiesta Van Sport. Announced in December 2017 and available to order in Spring 2018, both small Transits are getting revised looks and significant engineering upgrades – including an all-new 1.5-litre EcoBlue diesel engine for the Connect – designed to improve fuel economy and reduce running costs. Details of the new Transit Connect first; click here to jump straight to info about the new Ford Transit Courier. 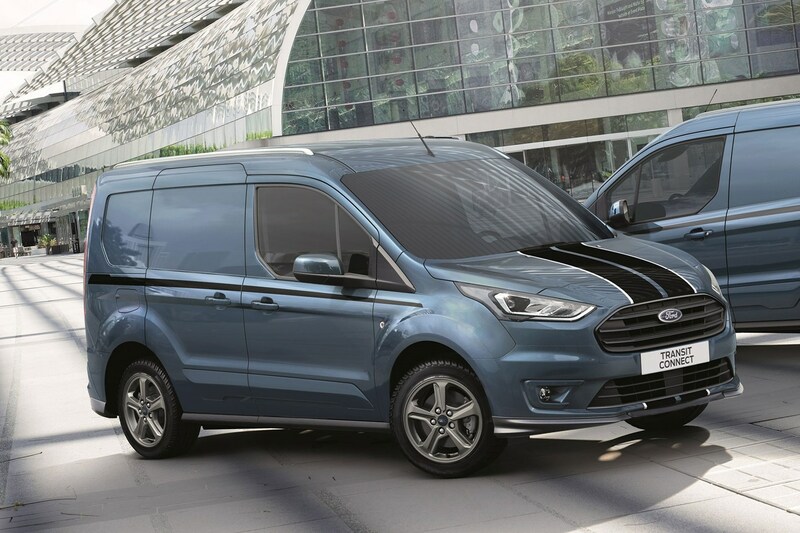 Changes on the outside of the Transit Connect mirror those applied to the revised Transit Custom – which is to say there’s a new three-bar grille set higher in the front and slimmer headlights, which bring the van closer to the latest styling of Ford’s car range. A new lower bumper area and front spoiler complete the makeover, apparently improving aerodynamics in the process. On the inside, the facelifted Transit Connect gets a revised dashboard with a new central control area. 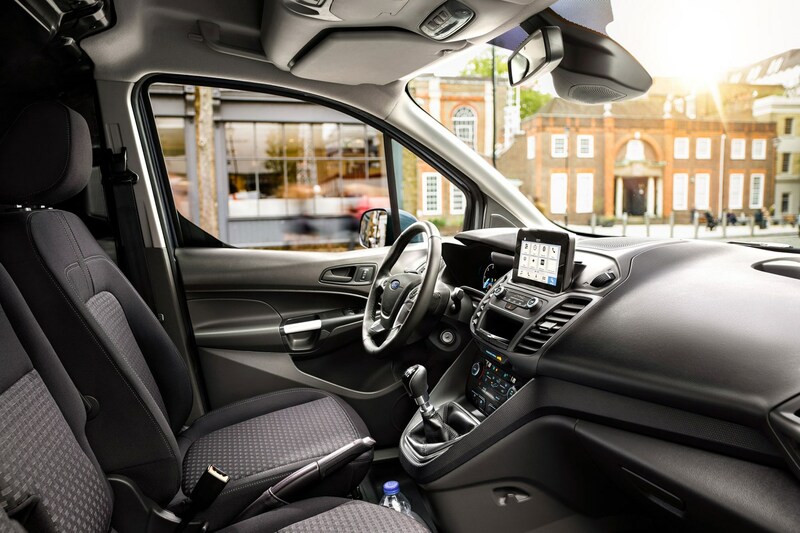 This includes the availability of a new 6.0-inch tablet-style floating touchscreen infotainment system on higher-specification models, using the same Sync 3 software as the Transit Custom. There are also new trims and materials, which are said to be ‘stylish and hard-wearing’. 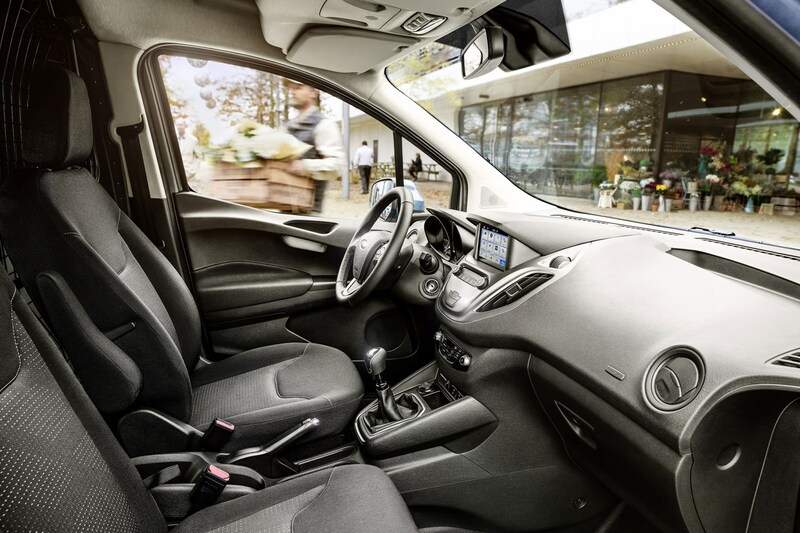 The Transit Connect also benefits from an all-new 1.5-litre turbodiesel engine. 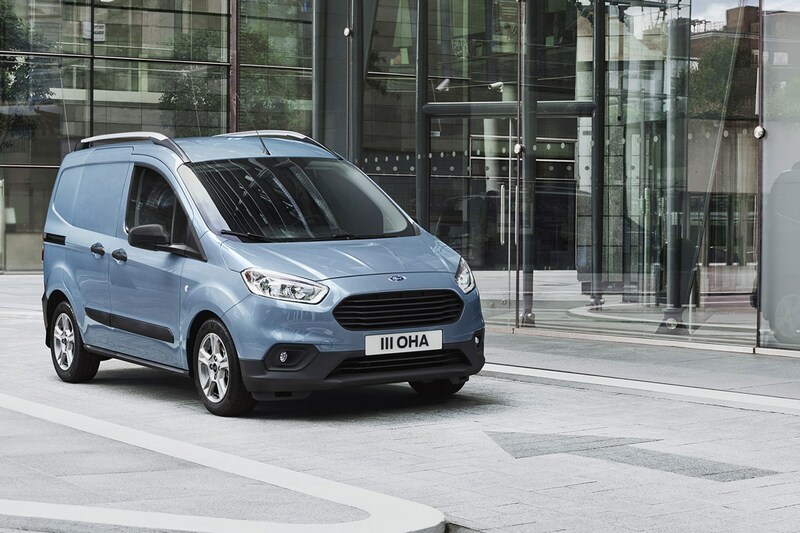 Part of the same modern EcoBlue family as the 2.0-litre unit used in bigger Transits, this promises state-of-the-art fuel injection, turbocharging, emissions control and friction reduction. These are the official 'best' figures, so some versions may not perform as efficiently, and certainly real-world driving is likely to prove less economical. But Ford also says that the engine's low friction design means that real-world mpg should be better than with the older engine - by as much as 12% in the case of the 100hp variant. 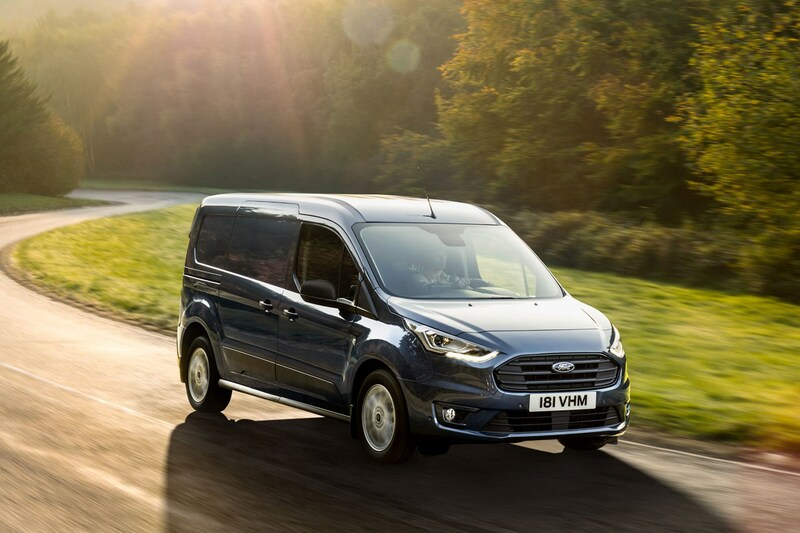 Alongside the new 1.5-litre diesel, the Transit Connect also gets an updated version of Ford’s long-serving 1.0-litre EcoBoost turbo petrol engine. This has upgrades to the cylinder head, fuel injection and emissions control systems, all again designed to improve fuel economy. What’s more, it also features cylinder deactivation technology – meaning that it can run on just two cylinders whenever speeds and loads are low enough, reducing fuel consumption further still. The official figures are as high as 44.1mpg as a result. In real-world driving, Ford's tests indicate this should achieve a 5% mpg improvement over the old model. 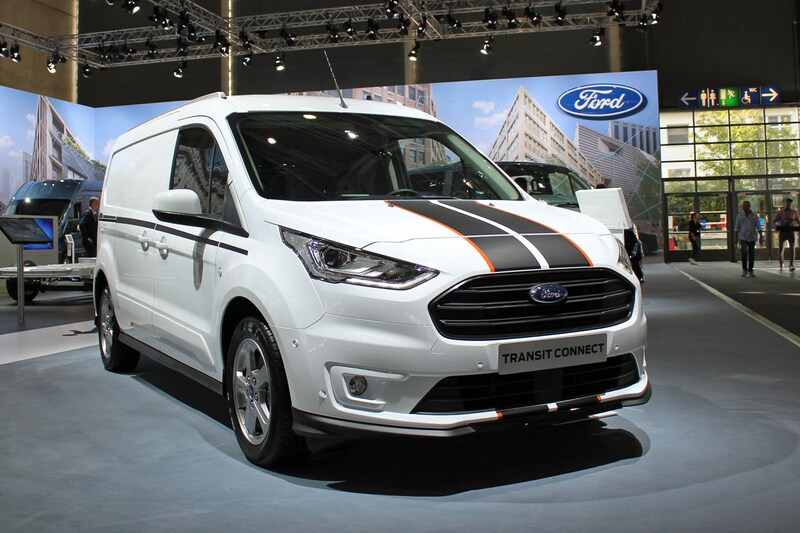 Detail changes as part of the facelift have also made the Transit Connect more aerodynamic, and an Active Grille Shutter is now standard. This closes off the radiator when cooling demands allow, reducing aerodynamic drag and saving fuel. 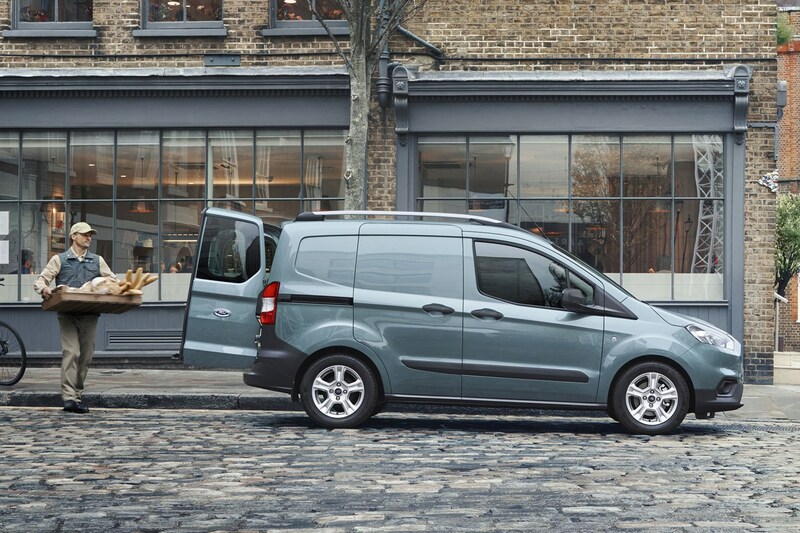 All versions of the revised Ford Transit Connect come with an upgraded six-speed manual gearbox – worth noting when many rivals only offer five-speed gearboxes on some models in the small van sector. The 100hp and 120hp versions of the new 1.5-litre EcoBlue diesel also have the option of an eight-speed automatic, however. That’s an unusually high number of gears, especially in a van, and the result is said to be smooth, responsive and very efficient. The eight-speed auto won’t be a cheap add-on, but it will likely make driving in traffic a comparative dream. It is also able to adapt to different driving styles and constantly monitors itself to maintain best performance - it can even skip gears that aren't required. Sounds very clever, and we look forward to trying it. Both petrol and diesel versions of the new Connect will have service intervals extended. These have now been confirmed as two years or 18,000 miles (whichever is sooner) for petrol and diesel models with a manual gearbox - though Ford does say these are 'variable', so the Connect may request an earlier visit to the dealer, depending on factors such as how and where it is driven. Diesel models also require a 'compuslory inspection' every year. Where an automatic gearbox is fitted, the intervals fall to 12,500 miles or two years, again with a compulsory inspection every year. Ford says these all contribute to scheduled maintenance and non-scheduled repair costs that are ‘significantly lower than the primary competition, according to Ford analysis’. Little change here. 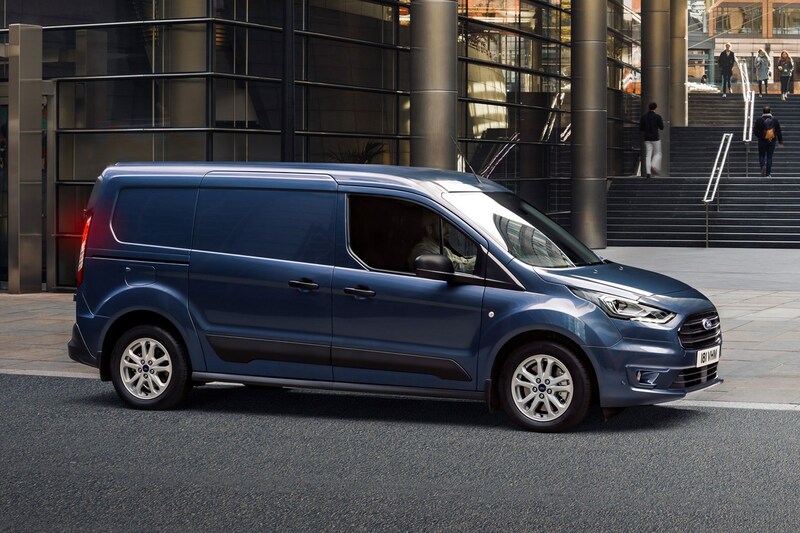 As before, Ford will offer short- and long-wheelbase versions of the Connect, and load volumes up to 3.6 cubic metres (that’s a VDA measurement, which is slightly smaller than the total volume most rivals quote). Payload capacity now ranges from 410kg to 900kg. 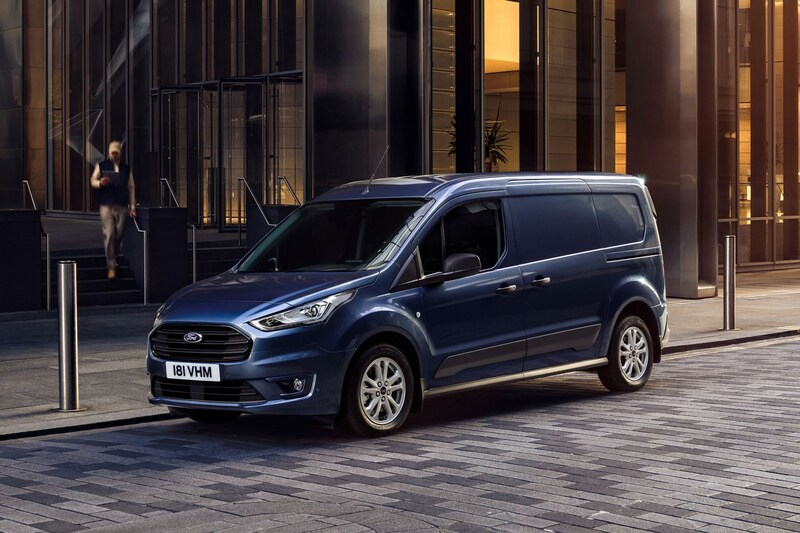 The 2018 Ford Transit Connect will be available as a regular panel van, a kombi and a double-cab-in-van (DCiV). 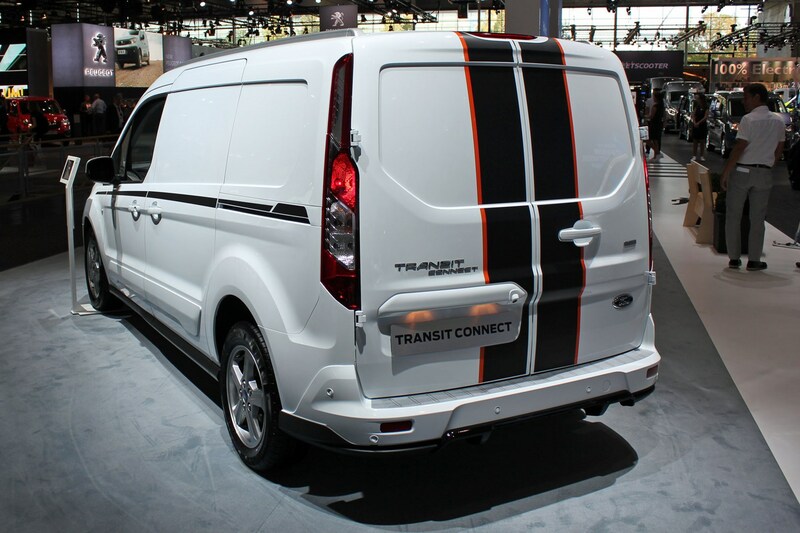 The Transit Courier is Ford’s smallest proper van now that the car-derived Fiesta Van has been resurrected. For 2018, the Courier also gets a smart new look – though the reshaped grille and revised lower bumper area don’t represent as big a change here as they do on the Connect. 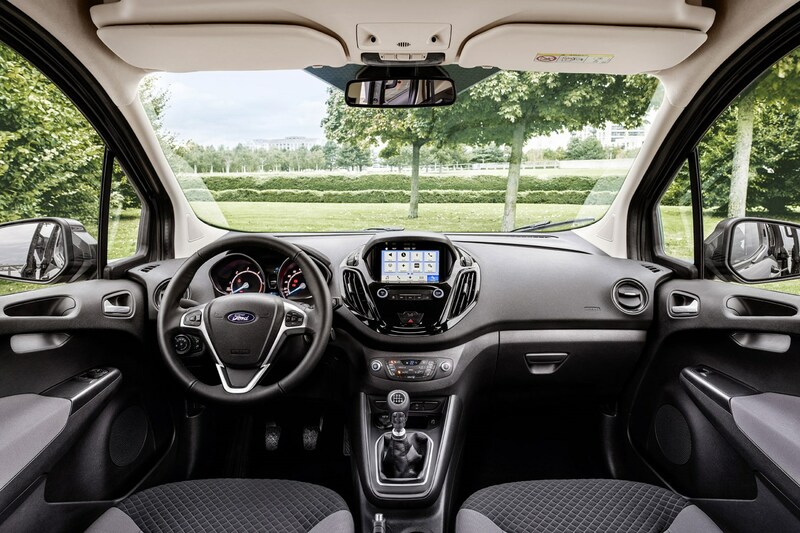 On the inside, there’s no floating tablet either – but you do get a redesigned centre console, which is available with a larger, integrated 6.0-inch display screen and Ford Sync 3 infotainment system, and now positioned closer to the driver. The Courier gets upgraded versions of the existing 1.5-litre TDCi turbodiesel (75hp or 100hp) and 1.0-litre EcoBoost petrol (100hp) to improve fuel efficiency and reduce costs. Under WLTP tests, the diesel Courier manages as much as 65.6mpg, while the petrol Courier tops out at 53.2mpg. All Transit Courier models now get a six-speed manual transmission as standard, replacing the old five-speed unit. Ford says this is also a nicer gearbox to use, which actually improves real-world fuel economy. The 2018 facelift will see all diesel Transit Couriers fitted with a new fuel-efficiency package as standard, too. This features refined aerodynamics, including an active grille shutter to improve warm-up times and reduce drag at speed. The Courier comes in one body size, offers up to 2.4 cubic metres of load volume, and is available as a panel van and a kombi. Payload ranges from 500kg to 590kg. There is also a new Transit Courier Limited trim level, as an alternative to the attention-seeking Sport model at the top of the range.